We hand-pick the Shiraz for our Silent Showman wines in small parcels of fruit from targeted blocks in the vineyard and at various degrees of ripeness to achieve the desired qualities in our wines. After gently crushing the grapes we transfer them into open vats, add some yeast and a few other goodies to let the fun begin. The skins from the fermentation rise to the top of the vat above the fermenting juice so several times a day we manually push the cap of skins back into the juice. This can be done a variety of different ways however at Tallis we like to show our grapes and ferments some love by getting down and dirty in the ferment. Click on the link below to see the two Tanya"s up to their elbows in red must as we nurture our ferments into producing a sensational wine. We start vintage at Tallis next Friday with our Riesling first in line to be picked. Being a delicate and aromatic grape variety we will hand-pick the grapes to avoid breaking the skins and get them into the winery for pressing asap. A week or so later will be picking our shiraz, viognier and sangiovese. We pick the shiraz in separate parcels of fruit, selected from particular blocks in the vineyard to achieve our desired style for the Silent Showman and Dookie Hills wines. So it's busy times ahead with a flurry of activity as grapes flood into the winery, ferments bubble away and the winery is filled with heady aromas of fermenting grapes. 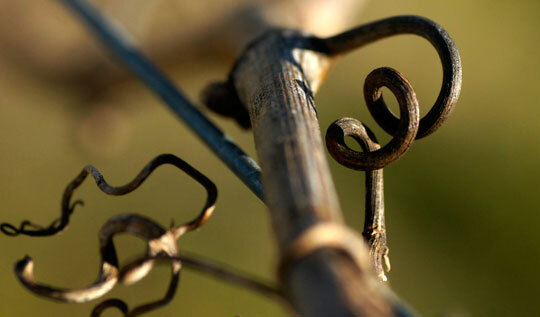 It also happens to be the most exciting time of year as we begin the cycle which helps us create our future wines. We will bring small batches of our ferments to display up at the Cellar Door so be sure to visit over the next couple of weeks. Exciting week ahead as we prepare our 2012 Dookie Hills Riesling for bottling. We know many of you are keen to try it so while we won't be releasing it immediately it is definitely getting closer. We are also looking at our Botrytis Riesling this week - our sticky wine! If you love a luscious wine after dinner, particularly in front of an open fire with a rich chocolate pudding, then this is the wine for you. We will keep you updated on when you can try both wines. Don't worry ... we can't wait either! Like many wine lovers our hearts have been stolen by Riesling, and last Thursday we hand-picked our first serious harvest. We picked at a low baume which is an indication of the grape's sugar level, so the finished wine will be quite low in alcohol with citrusy fruit characters, and naturally acidity. Being an aromatic grape variety, we wanted to preserve the delicate aromas and flavours typical of Riesling so the clarified juice is being fermented at a very low temperatures over an extended period. We are looking to make a crisp, fresh, zesty style with lemon, lime and floral characters which will be superb with seafood, salads and spicy food or simply a wonderfully refreshing drink on its own. Vintage at Tallis Wine is slowly coming to an end. Our Cabernet Sauvignon was picked last Thursday, and has been busily fermenting in one of our open fermenters. The colour is looking spectacular and the concentration of flavours is excellent. We will be pressing the wine this week and sending it off to barrel. Cabernet Sauvignon has a very small berry with a thick skin. The high ratio of skin and seed to pulp generally results in a wine with high tannin content, therefore it is essential that the grapes are ripe at harvest, particularly the seeds, to ensure the tannins are not harsh and green. Pyrazine is a compound present in all cabernet sauvignon grapes and contributes to the herbaceous or green capsicum characters for which cabernet is known. Humans are extremely sensitive to pyrazine in minute quantities, so even the tiny amounts found in under-ripe grapes will make the wine appear green. Sunlight breaks down pyrazines so we are extremely careful to ensure our grapes are fully ripe before harvest to be confident that the influence of the pyrazines is beneficial and that the ever present tannins are ripe. Wild and woolly would be the best way to describe the weather we have had in our neck of the woods in the past week. However, despite being a mere 30km from Shepparton, which was quite simply ravaged by wind and hail storms, in Dookie we barely noticed the leaves swaying on the vines. Rain .... yes, lots of it ..... definitely, but not an ounce of damage anywhere. The greatest impact of the weather has been to slow down the ripening of our cabernet grapes. We have had a week of days in the low 20's and nights around 10 degrees, and this has added an extra week or two onto our cabernets ripening. It's not a big deal though. We should see good flavour development and good acid retention. It has also given us oodles of time to finish fermenting our other reds and send them off to barrel. Our barrels are selected based on what oak influence we want to achieve in each wine. For example, sangiovese is a grape variety that suits subtle oak handling so we never use new barrels for our sangiovese and always French. French oak has a tighter grain than American oak so the rate of uptake of oak characters is much slower. Our shiraz viognier also receives subtle oak handling as our preference is for fruit definition rather than oaky characters. Both the merlot and straight shiraz have a powerful punch of berry fruit flavour which can handle the vanilla, chocolatey impact of new and American oak. To achieve complexity and a range of flavours we mix up the use of new and old, and French and American oak so we achieve a variety in the barrel components we use in our blends. Stay in touch for news of our cabernet picking and the final words on vintage 2010. It has been a huge week at Tallis Wine as vintage is in full swing and the winery is a hive of activity. From what we have experienced and seen so far, the 2010 vintage should produce some excellent wines. The colours we are seeing in our red ferments are outstanding, and the cool nights and mild day temperatures are allowing slower ripening. This means a slower rate of accumulation of grape sugars which gives the opportunity for a lengthened period of flavour development. Cool to mild temperatures also assist with grape acid retention which should make all the wine lovers with a penchant for acidity in their wines very happy. Our shiraz viognier ferment was pressed on saturday and is now virtually dry, which means nearly all the grape sugars have been converted to alcohol. The wine is currently settling and will be racked off to barrel sometime this week. Aside from aroma and flavour influences, the impact of the viognier on the shiraz colour is amazing. The wine has a certain vibrancy in its colour which is very appealing. Our merlot ferment is ticking along nicely. We have been maintaining a fermentation temperature of around 25 degrees to maximise the retention of primary fruit characters and to lengthen the fermentation period. We feel this maximises the aroma and flavour characters derived from the fermentation process, thereby adding to the complexity of the wine. The baume is currently sitting around 4 Be so we will put the ferment through the press in the next day or so. This will separate the skins from the fermenting juice before the fermentation finishes, so CO2, a normal byproduct of fermentation, will be present to protect the wine from oxidation during the pressing process. Our sangiovese was hand picked on Friday morning and that ferment is also brewing away happily. The baume is sitting around 4 Be so we will most likely press this ferment within the next couple of days. We are currently hand plunging this wine a minimum of 5 times each day and the colour extraction has been excellent. Our viognier ferment has cold settled and been racked off grape solids into tank. The juice was allowed to warm up to 18 degrees then innoculated with yeast. We are maintaining cool temperatures around 15 degrees for this white ferment to retain freshness in the fruit characters. The baume is sitting at 13.5 Be so it has quite a way to go yet. This morning we picked our next parcel of shiraz grapes, and have sinced crushed the grapes and sent them to a fermenting tank. We have analysed the must for baume and acidity and fired up the yeast to get the fermentation underway. Tomorrow morning we hand pick a very small parcel of shiraz grapes from which we intend to make something very special. Stay tuned. Early this morning we started picking our viognier and merlot with unseasonably cool temperatures creating ideal harvesting conditions. The viognier went straight through the crusher and press and is now cold settling prior to fermentation, which is normal practice for white wines. The merlot has also been crushed and innoculated with yeast, so those lovely yeast cells should soon start converting the sticky merlot juice into a lush berry cherry flavoured wine. We officially started vintage this morning with our picking team meeting in the vineyard at 6.30am. We hand-picked 3 bins of shiraz grapes for our shiraz viognier blend, with the viognier to be picked tomorrow to allow the shiraz and viognier to co-ferment. The shiraz grapes were plump and flavoursome so we are anticipating they will produce an excellent drop. The shiraz has been crushed and innoculated with yeast so the ferment will kick off in the next day. Richard and I spent the morning in the vineyard today looking at our Shiraz, Viognier, Merlot and Sangiovese grapes. Juice extraction from sample bunches indicated that our sugar levels are slowly creeping up, and the corresponding flavours are developing well. With this weeks’ forecasted temperatures expected to reach the high 30’s we envisage we will reach our required sugar and flavour parameters over the next few days and will commence vintage early next week. Shiraz and Viognier achieve ripeness around the same time, so we will harvest these grapes simultaneously, which is ideal for our Silent Showman Shiraz Viognier co-fermentation. We plan to hand pick the majority of our grapes this vintage to ensure the grapes selected are high quality and treated with a tender touch. The Merlot won’t be far behind the Shiraz and Viognier so we may be harvesting the Merlot next week or early the following week also. Fortunately the Sangiovese and Cabernet is further behind so we will be able to space out our ferments comfortably. Check back in with us again early next week for an update on how our vintage kicked off. We spend a lot of time in the vineyard this time of year monitoring the condition of our grapes as they complete the ripening process. Starting the winemaking process with the highest quality raw material, ie. grapes, provides us with the greatest potential to produce a superb wine. Grapes generally don’t ripen uniformly across the vineyard due to the micro-climate within the vineyard, their aspect and a number of other variables. Therefore, to obtain a good representation of the degree of ripeness of the grapes at they approach harvest we use a sampling method where grape bunches are selected on a random basis from each block. The sample bunches are crushed by hand, and the juice analysed for sugar and acidity. We also walk through the vineyard monitoring berry size and ripeness, and sample berries for flavour, and ripeness of the seeds and skins. We determine the readiness of grapes using a combination of the information we obtain from lab analysis and tasting of berries in the vineyard. Assessment of some of our earliest ripening varieties, shiraz and viognier indicate that our grape sugars are starting to creep up, with the highest being around 11 Baume. Assuming our climatic conditions remain constant we should be ready to begin harvest in approximately 2 weeks. Fortunately this seasons growing conditions have been much more beneficial than the 2009 vintage. We have had quite a few warm days and the odd scorcher, but nothing comparable to last year. Our grapes are looking sound, developing a good flavour profile and the cool nights we have been experiencing are maintaining good levels of natural acidity. Mary Stewart, one of our local friends to Tallis Wine, recently posted this article on our blog: "We recently travelled to Spain for a wonderful family holiday. We were fascinated by the cork trees which grew throughout much of spain, with stock grazing beneath them. They grow to approximately 30 feet, with broad spreading limbs. Our limited spanish made information gathering difficult, but we understand that the cork bark is removed from half the tree trunk, every ten years, by licensed teams. We have some photos of cork trees from which part of the trunk has been removed. The Spanish don’t seem to favour screw tops Casino Dkaplan for their wine bottles." Richard and I are currently working on the new blends for our Dookie Hills Merlot and Sangiovese and the Silent Showman Shiraz. These wines sold like hotcakes last year and the Merlot and Shiraz are all but sold out so we are working hard to get the next vintages blended, bottled and back in stock. The blend components are all looking really good. The 2007 Dookie Hills Merlot is inky purple in colour yet again, it seems our vineyard and climate really suits this variety. The palate has lots of lush plum and berry fruit characters similar to the ’06, which should please the devotees of the previous vintage. The 2007 Sangiovese is also showing great intensity of colour which we expected as a consequence of the low yielding harvest. As we use only older French oak for our Sangiovese, the wine shows little oak influence and the savoury fruit characters and earthiness are dominant. The 2007 has some lovely firm, almost chewy tannins which make this variety so enjoyable. The Silent Showman range is only produced if each vintage is worthy and we are more than happy with our ’07 Shiraz components meaning the next blend of this wine is underway. Those familiar with the 2006 vintage would remember the mocha characters in this wine, which are attributed to a parcel of the wine going though barrel fermentation. We will use a barrel fermented component in the 2007 blend along with selected fruitier components for balance. When the blends are finalised and bottled, we will announce the releases via the blog so those who have been awaiting the new vintages can finally get their hands on them. Whenever we have visitors to the winery, they are nearly always fascinated with what goes on in the winemaking process to achieve the finished wine. Most are surprised that there is so much science behind it all, and while you may not be interested in all the chemical reactions you might like to hear a little of what we do each week. It is post vintage at Tallis Wine and all of our wines from the 2009 harvest have completed primary fermentation and are tucked away nicely in barrel. The wines have been inoculated with lactic acid bacteria (LAB), which leads to malolactic fermentation (MLF). MLF converts malic acid, a harsh acid to lactic acid, a far softer and more palatable acid. Wine may commence MLF as a consequence of naturally occurring LAB which can be found in the winery however some strains of LAB lead to the production of undesirable flavours. The preferred method is to inoculate the wine with Oenococcus oeni, a strain of lactic acid bacteria which produces attractive flavours. All of our red wines go through MLF and while some whites, particularly chardonnay, benefit from this chemical reactio. We put a small parcel of our viognier through MLF to inject a little complexity to the wine. Our preservative free wine has finished primary fermentation and is now in barrel. It has been inoculated with an LAB culture and is currently chugging along. If in doubt, we put our ear to the opening of the barrel and it is possible to hear crackling which are CO2 bubbles, a by-product of MLF. We will watch this barrel carefully to ensure we catch the end of the fermentation. During MLF, the wine is blanketed with the CO2 however when MLF is complete the Casino Dkaplan wine becomes susceptible to oxidation as the CO2 layer begins to diminish, particularly if the barrel is opened. As our preservative free shiraz will not receive the usual dose of sulphur dioxide administered at the end of MLF to act as a preservative and antioxidant, we will need to keep this wine barrel topped (filled to capacity to avoid air contact) and bottled asap. The cooler temperatures we are now experiencing should ensure that MLF will slow down during winter however come spring, fermentation will speed up again so we will need to check the barrel regularly.